A banner is presented from the community of Newtown to the community of Parkland during the March For Our Lives rally in support of gun control on Saturday in Washington, D.C.
Carol St. John and Kathy Heffman, teachers from Trumbull, Conn., traveled to Washington to take part in the rally. 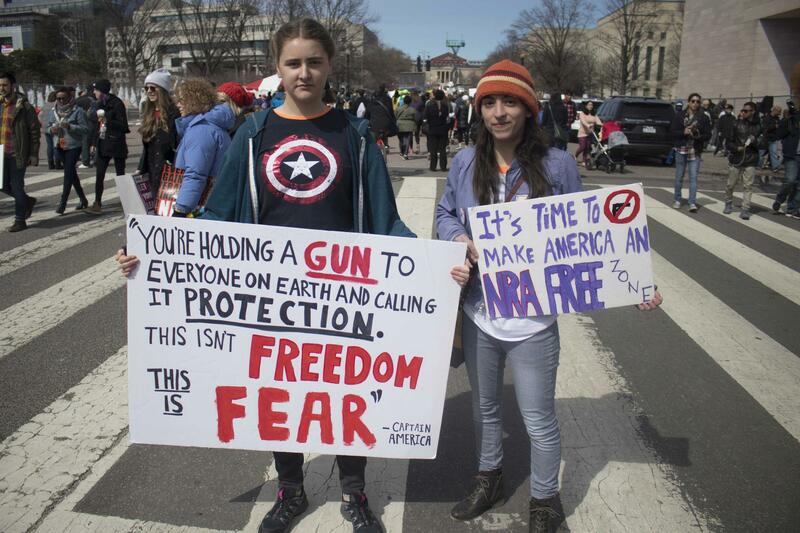 Lilly Sheridan and Maddie Stevens, students at Education without Walls in New Milford, Conn., also made the trip to the nation's capital to participate in the march. 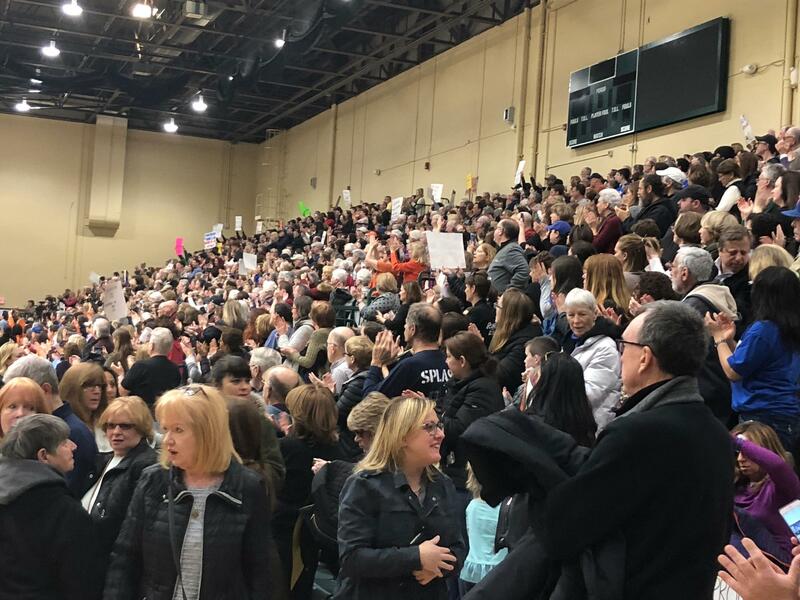 Nearly a thousand people showed up to a solidarity rally in Farmingdale, Long Island. In Huntington, Long Island, more than 500 community members showed up to a student-organized rally. 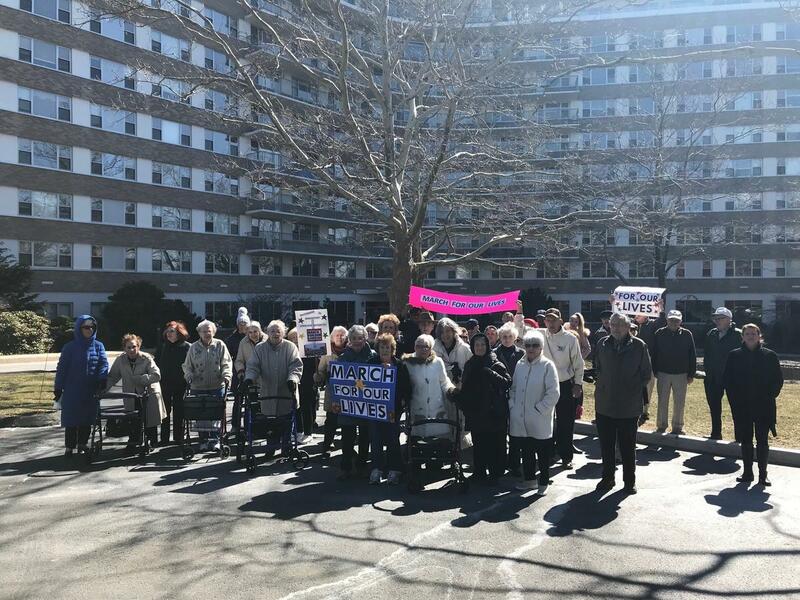 Residents from the Watermark at 3030 Park senior living community in Bridgeport, Conn., held their own solidarity rally outside the facility. 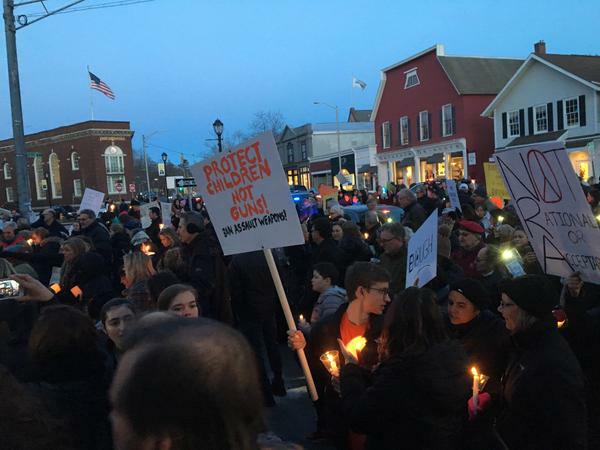 Westport, Conn., residents held a candelight vigil as the sun was setting on a long and emotional day. The students presented a banner from the Newtown Community to the Parkland community. “We know your pain. We know what you are going through. 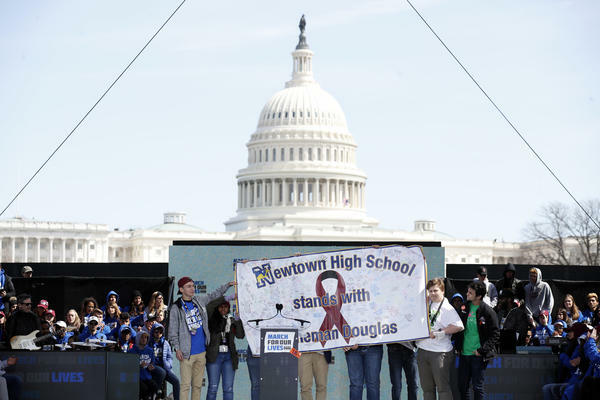 And we are inspired by your fight for change,” said Jackson Mittleman, a junior at Newtown High School. 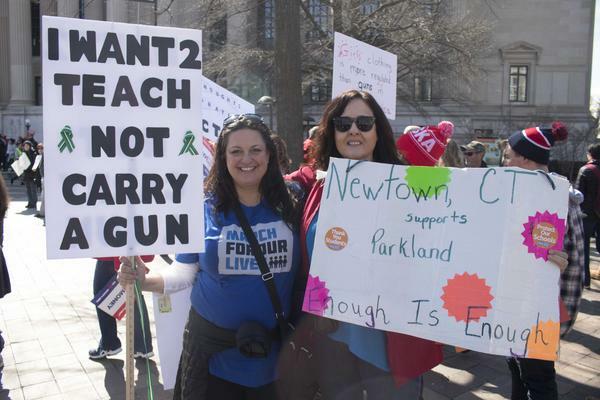 Mittleman spoke alongside his classmate Tommy Murray, who was in 6th grade on lockdown when a gunman killed 20 students and six educators at Sandy Hook Elementary School on December 14, 2012. Matthew Soto of Stratford was 15 when his sister Victoria Soto, a teacher, was killed in the Sandy Hook shooting. He said the epidemic of gun violence affects too many schools, churches, movie theaters, neighborhoods, and homes. 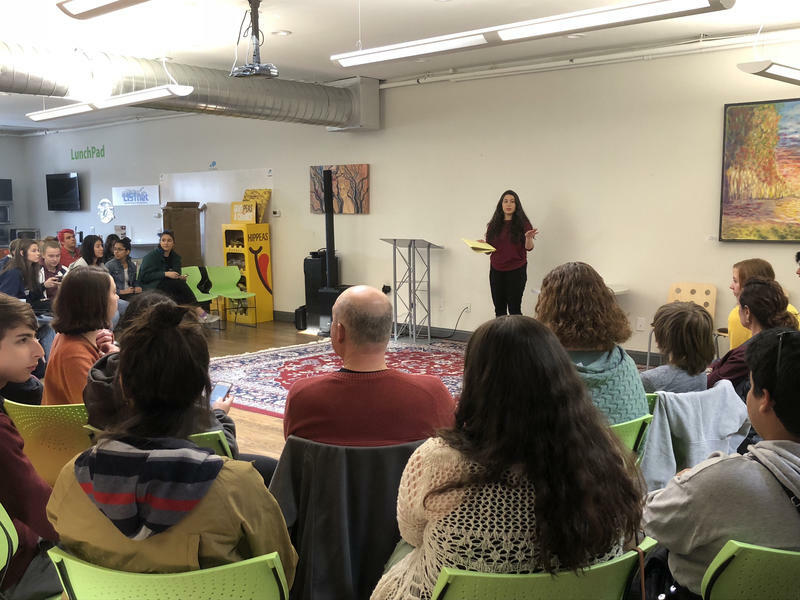 Jenny Wadhwa, a junior at Newtown High School, said the Newtown students were able to come out in full force Saturday thanks to the support of their parents and community. “This is a kid-led movement, but it’s really also about all those adults who are standing behind us making our voices be heard.” she said. 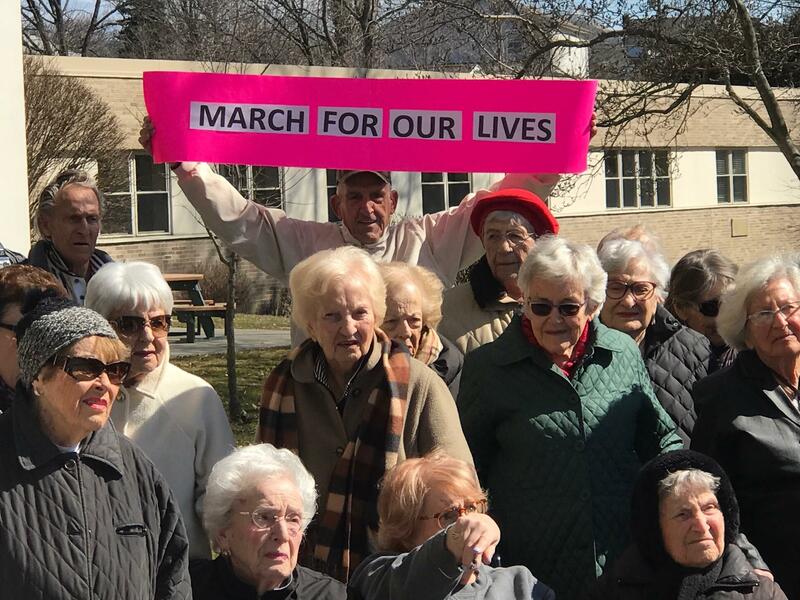 The students’ message resonated with people holding smaller marches back in their home state, including a group of 75 senior citizens at the Watermark at 3030 Park senior living facility in Bridgeport, Conn.
“We’ve talked about these issues over dinner and over, you know, other social events and I knew that at least some of them would be supportive and it turned out that a lot of them than I realized were very supportive” said Linda Cohen-Calger, a 76-year-old retired lawyer. A relative of hers was shot and killed in 1984 by a criminal that she says should never have had had a gun. 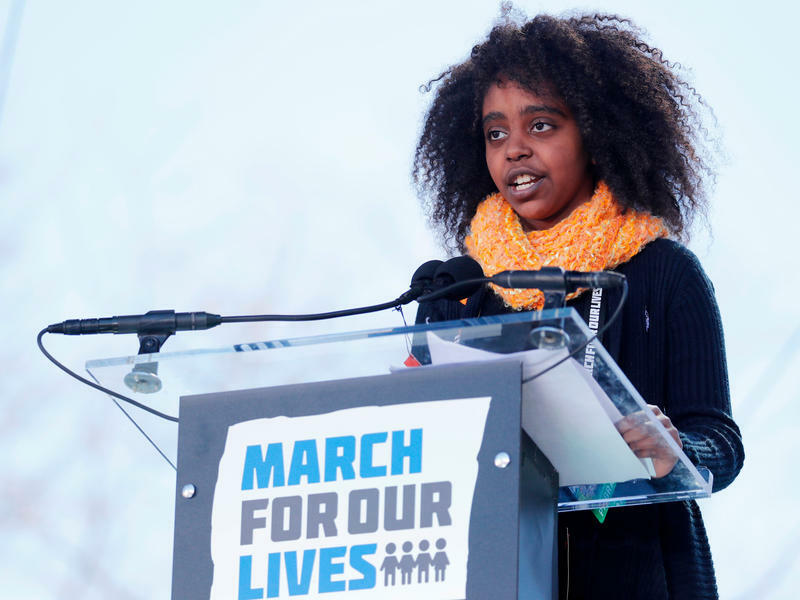 Alyssa Befumo, a student at Huntington High School on Long Island, is one of the hundreds of student organizers around the country. She registered voters at the solidarity rally in Huntington that drew more than 1,000 people. Fred Gladstone attended the Farmingdale march with his wife and daughter. 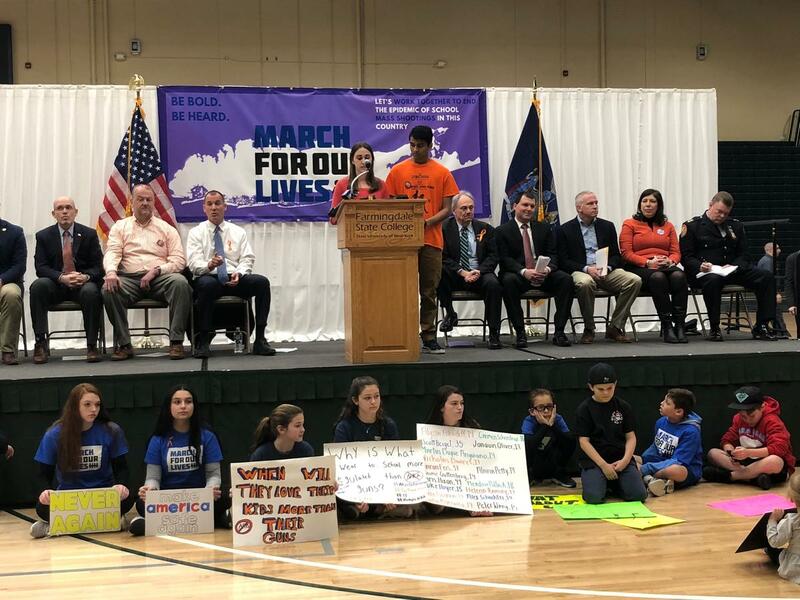 Back in Washington, the Newtown students called out President Trump, Congress, and all elected leaders throughout the country. Deputy Press Secretary Lindsay Walters said the Trump administration applauds the many courageous young Americans exercising their first amendment rights and that keeping children safe is a top priority of President Trump. 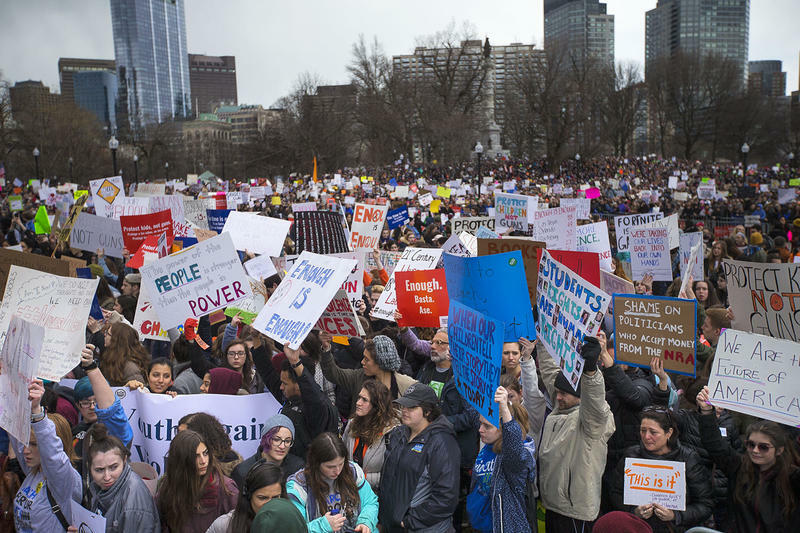 High school students around the country plan to travel to Washington, D.C., on Saturday for the March For Our Lives. 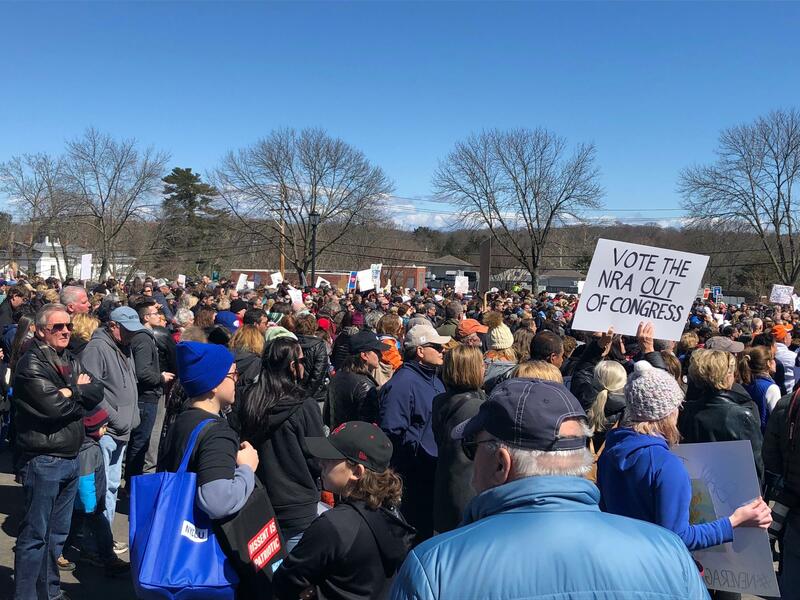 They're calling on Congress to take action to end gun violence in schools.